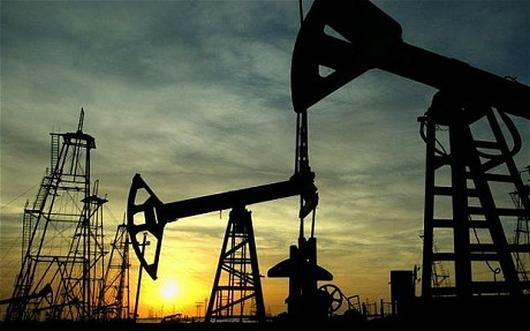 Oil edged up on Tuesday, steadying after a 5 per cent plunge in the previous session that saw prices touch fresh 5-1/2-year lows in an oversupplied market. Worries about surplus oil supplies were fuelled by data showing output in Russia hit a post-Soviet-era high in 2014 and exports from OPEC's second largest producer, Iraq, were the highest since 1980. Jitters over political uncertainty in Greece drove investors out of risk assets globally to safe-haven bonds. "It's building on the recent bearish supply/demand outlook of oil, led originally by the OPEC meeting," said Mark Keenan, who heads Asia commodities research at Societe Generale. Brent crude gained 16 cents and was at $53.27 a barrel by 0430 GMT, after dropping to a low of $52.66 on Monday, its lowest since May 2009. U.S. crude was up 13 cents at $50.17 after slipping below $50 for the first time since April 2009. A slew of factors had combined to push prices lower, Keenan said, pointing to the concerns about Greece, high output from Russia, Iraq and the United States and a stronger dollar. U.S. commercial crude oil and products stockpiles were forecast to have risen in the week ending Jan. 2, a preliminary Reuters survey showed on Monday. A rise in the dollar index for the sixth straight month in December has made dollar-denominated oil more expensive for holders of other currencies, depressing prices. Some economists expect cheaper oil to boost consumers' purchasing power and buoy the global economy, but the 50 percent plunge in oil prices since June has also raised deflationary fears. "This is great news for motorists, but it presents a headache for policy makers, with the Fed keen to get their policy settings back to something more normal, and Europe keen to avoid a deflationary spiral," ANZ analysts said in a note. A rebalancing of portfolios of major commodity indices which starts on Thursday may widen the spread between Brent and West Texas Intermediate, according to Societe Generale. Up to $3 billion of Brent contracts will be bought versus $1.14 billion of WTI contracts, the bank estimated. Although the volumes are not significant, it could tilt sentiment towards a stronger Brent, Keenan said.